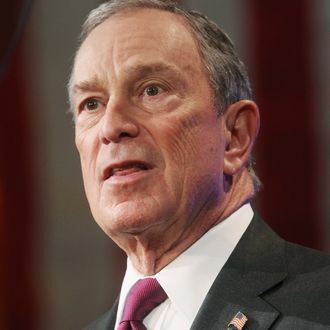 Mike Bloomberg wants New Yorkers to live longer. What’s wrong with that? If you’re the Times editorial page, you cluck that the mayor’s supersize soda ban is “overreaching” and prefer anodyne “programs that educate and encourage people to make sound choices.” If you’re State Assembly Speaker Shelly Silver, you pontificate about encroaching on the “freedoms we have been given in this country.” Please. Making it slightly more difficult to poison yourself isn’t exactly an attack on the Bill of Rights. Yes, the city should stop cutting the time and budgets for school gym classes, but Bloomberg’s public-health legacy is already vast, topped by the reduction in crime and the ban on public smoking. Perhaps the mayor doesn’t deserve all the credit for the city’s gains in life expectancy (see this for an excellent look at how the city’s quirks keep us healthier). But in a third term where he could be simply running out the clock, Bloomberg is at least trying to keep a few more people out of dialysis.